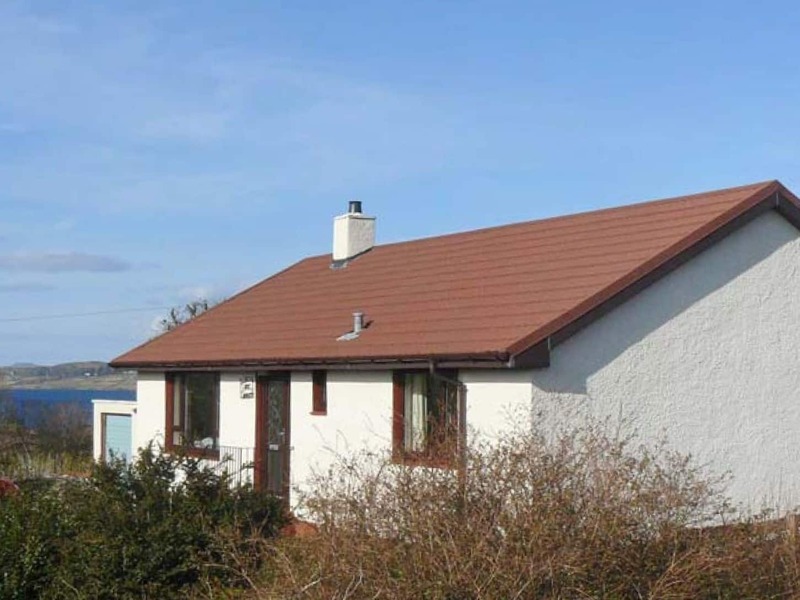 Cnoc Grianach is a spacious three bedroom bungalow located in the popular township of Bernisdale within easy commute of Portree. 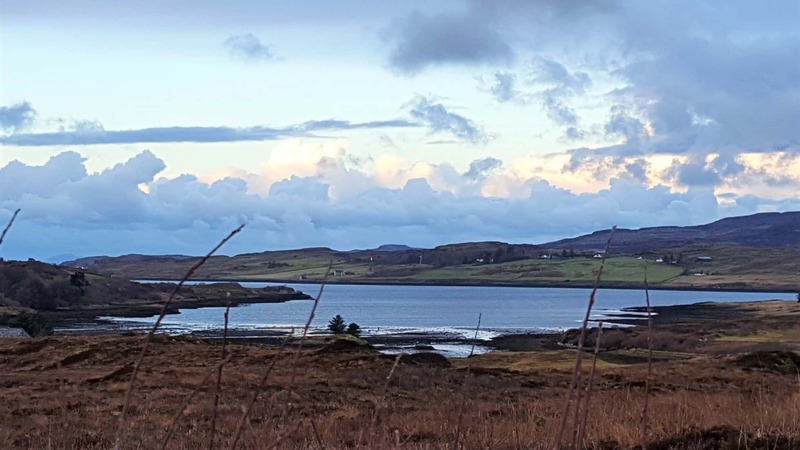 Set within fully enclosed garden grounds with widespread sea views across Loch Snizort Beag and surrounding croft land. 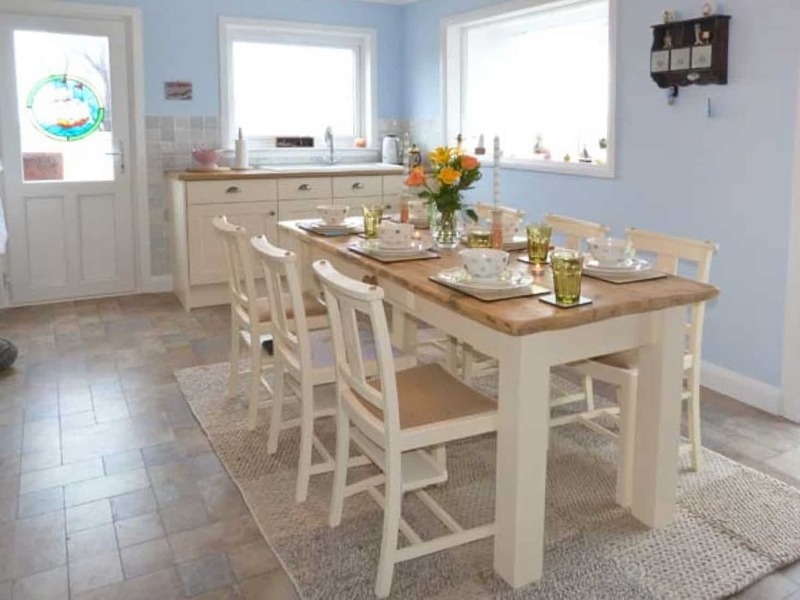 Cnoc Grianach is a delightful bungalow set off the main road and provides spacious living accommodation all within easy commuting distance of Portree. The property boasts clean neutral tones throughout and has been kept to a very high standard and is presented in “walk in” condition. The property further benefits from UPVC double glazing, electric storage heating an open fire, back boiler, along with a generous garden and ample private parking. 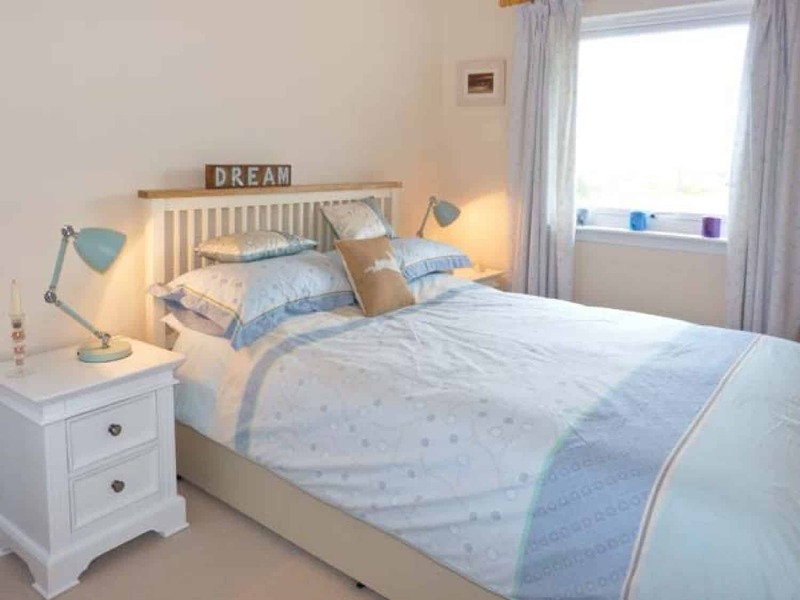 The accommodation is set over one level and comprises of entrance hallway, sitting room, kitchen, two double bedrooms, one with modern en-suite shower room, single bedroom, modern family bathroom and conservatory. Externally there is a fully enclosed garden with ample off-street parking and a single detached garage. 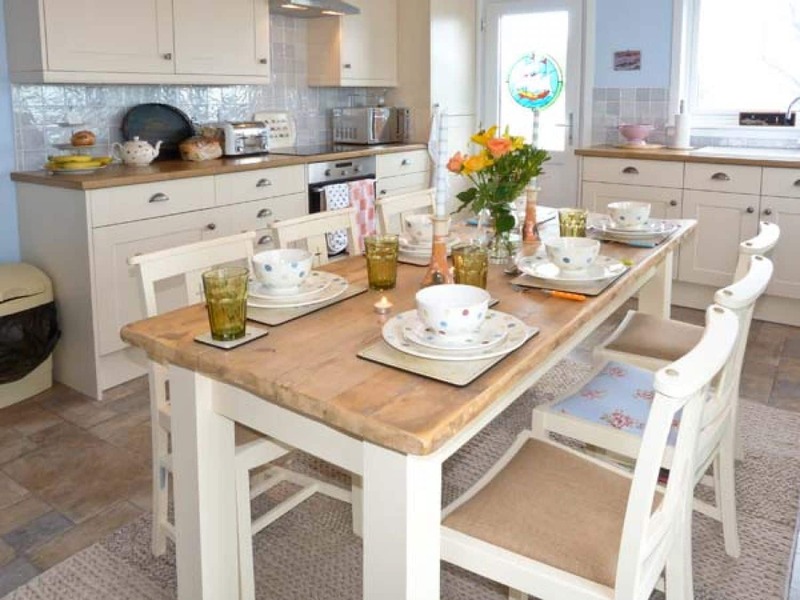 Cnoc Grianach is currently used as a delightful successful holiday letting property and is advertised via many popular websites and can continue to do so if wished, accounts can be made available to seriously interested parties once the property has been viewed, and the furniture will be included. 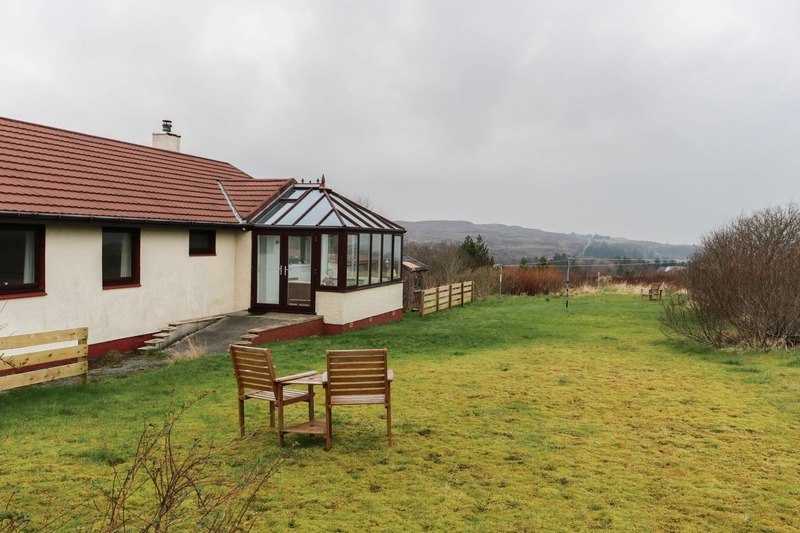 Equally the property would make a wonderful family home set in a peaceful area well within commuting distance of the principal town Portree and all amenities on offers. Stairs from outside lead to a bright light modern L-shaped entrance hallway accessed via half glazed UPVC external door with glass side panel. Hallway provides access to all rooms. Two large built in storage cupboards one housing consumer unit. Beautiful solid wooden flooring flows throughout. Painted in neutral tones. Radiator. 15’05” x 15’01” (4.71m x 4.62m) at max. 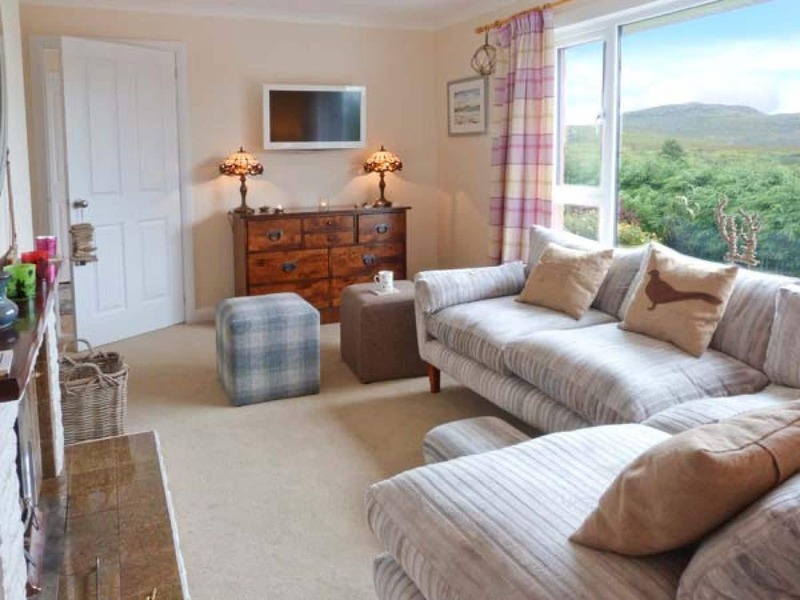 Bright airy living area with widespread views over front garden, croft land and hills beyond. Painted in neutral tones. Neutral carpet. 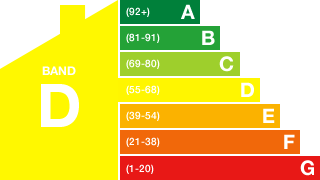 Electric radiator. 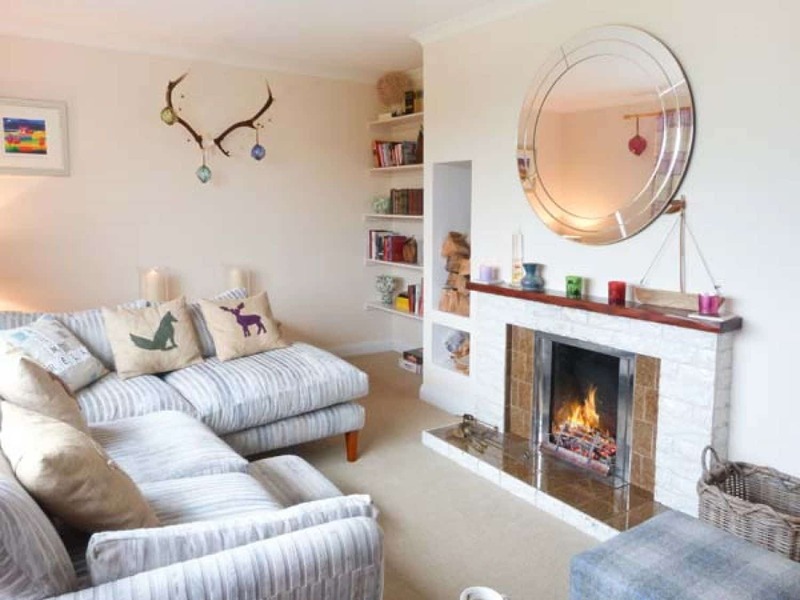 Wonderful open fire place with tile surround, mantle and tile hearth. Built in storage shelves. Cupboard housing back boiler. 17’05” x 11’07” (5.32m x 3.53m) at max. 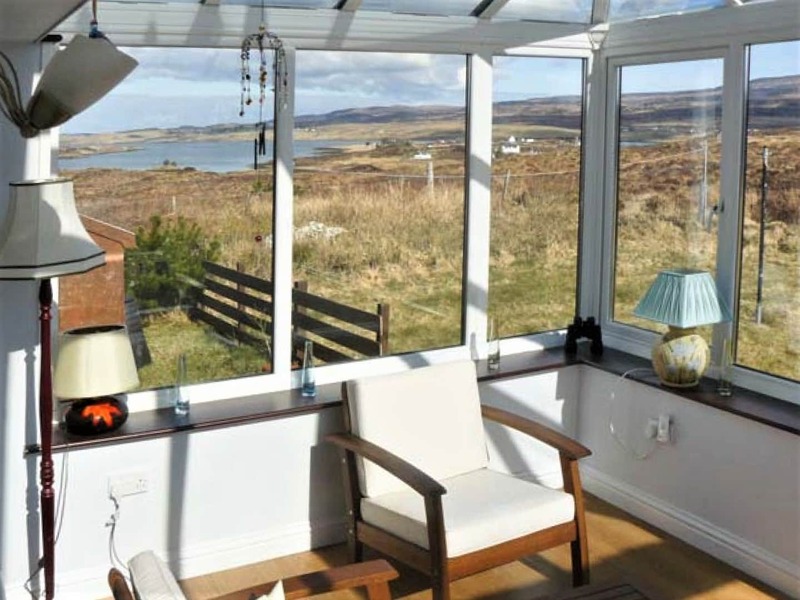 A wonderful addition to the property, boasting views over Loch Snizort Beag and hills beyond. Laminate flooring. Accessed from kitchen via fully glazed door. Fully glazed double doors provide access to the garden down ramp. Painted in neutral tones. 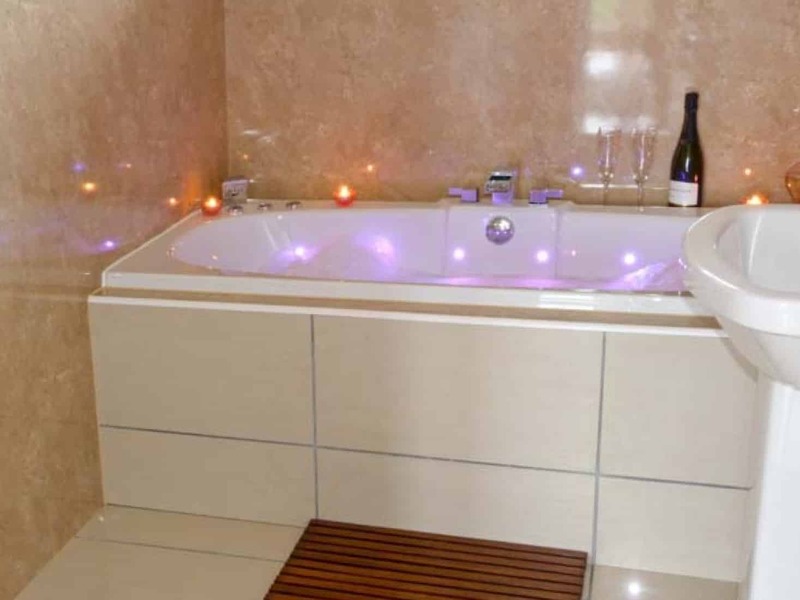 Beautiful modern bathroom with white 3 piece suite comprising W.C, wash hand basin and delightful whirlpool bath, which has integrated chromatherapy and mood lighting. Frosted window to rear. Respatex wall surround. Solid tile flooring. 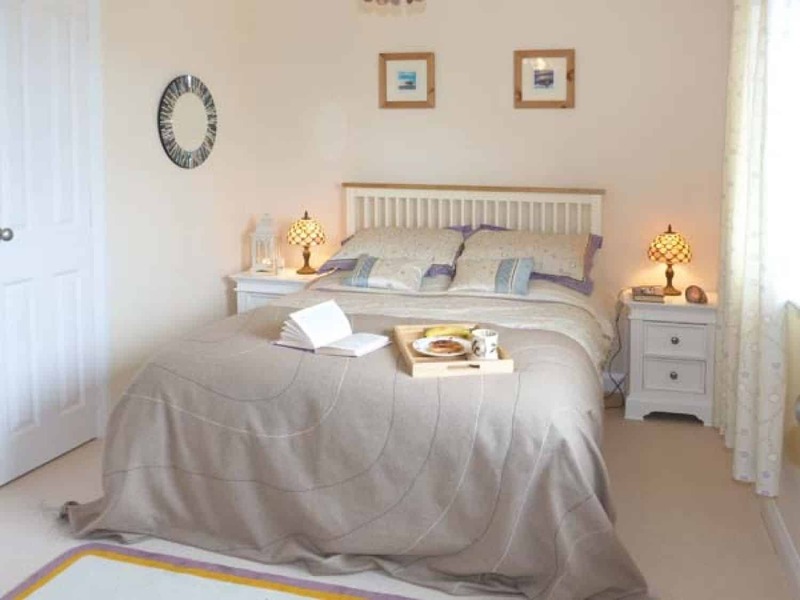 Spacious warm bright double bedroom with window to the front. Built in double wardrobe. Painted in neutral tones. Neutral Carpeted. Access to en-suite shower room. 12’06” x 11’07” (3.81m x 3.54m) at max. Modern en-suite shower room with white W.C. and wash hand basin. Walk in shower. Frosted window to front. Neutral respatex surround. Build in shelving. Spacious light and airy double bedroom with window to the rear. Built in wardrobe. Painted in neutral tones. Neutral Carpet. Lovely single bedroom with window to the rear. Room for free standing storage. Painted in neutral tones. Neutral carpet. Cnoc Grianach sits within generous fully enclosed fenced garden grounds with a single detached garage and shed to the side. There is ample room for off street private parking to the side and front of the property. The property has ramp access via the conservatory along with steps leading to the side and front doors. The garden is laid mainly to lawn with well established shrubs and trees surrounding along with an area for drying. 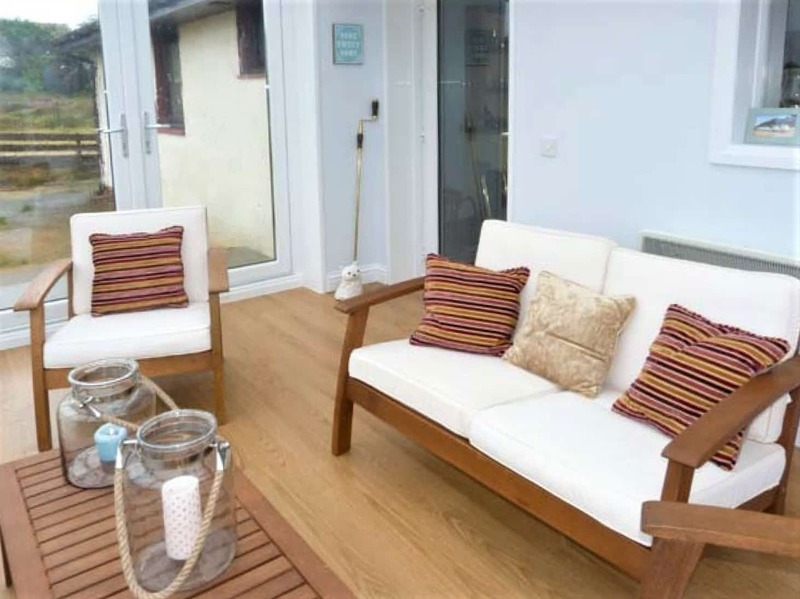 The property has a lovely seating area to the rear to capture the sun and enjoy the views on offer. Bernisdale is small crofting township located approximately 7.5 miles northwest from Portree the capital of Skye. Portree benefits from a selection of shops, restaurants, public houses, cinema, sports facilities, a medical centre and community hospital, and primary and secondary schools. From Portree take the A87, and continue on the same road north towards Uig Continue on this road for approximately 3.7 miles until the A850 junction (signposted Dunvegan), and branch left here. Follow this road then turn right at the sign posted Bernisdale / Park Bernisdale 1/2 mile. Then turn left following the sign to Park Bernisdale and follow the township road, the house is the last one located on the right, it is named. 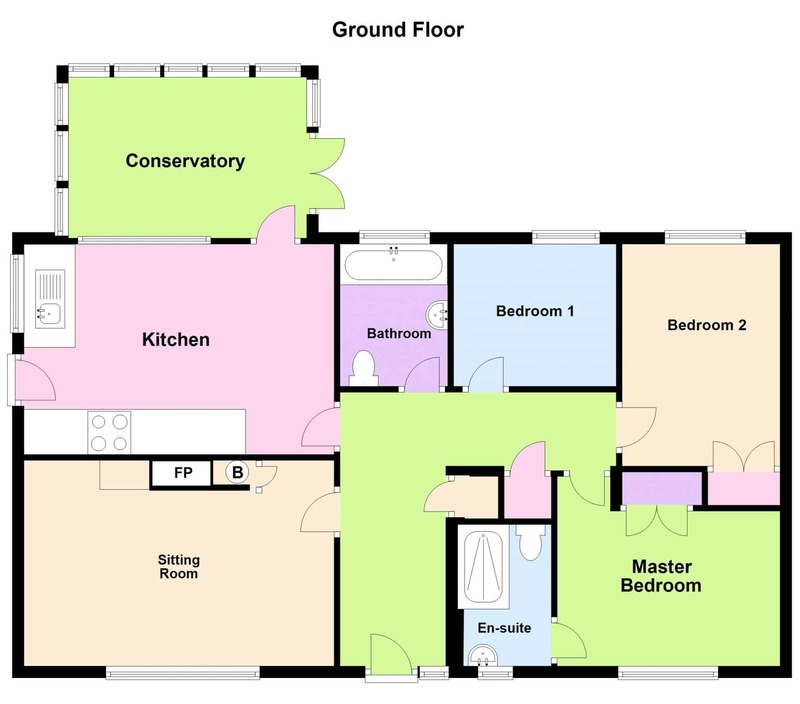 Three bedrooms: 2 double (one en-suite shower) and 1 single bedroom. Bathroom. Kitchen with dining area. Sitting room. Conservatory. Offers over £239000 are invited and such offers should be submitted in proper Scottish legal terms to The Isle of Skye Estate Agency.